My forst foray into baking with my new (to me) gas oven was a tasty melange of almond flour, whole wheat flour, corn meal, apples and the requisite pound of butter. Yum. Simple, crispy on top, oddly light given its contents, and very moist, this single-layer cake improved with age as flavors melded. 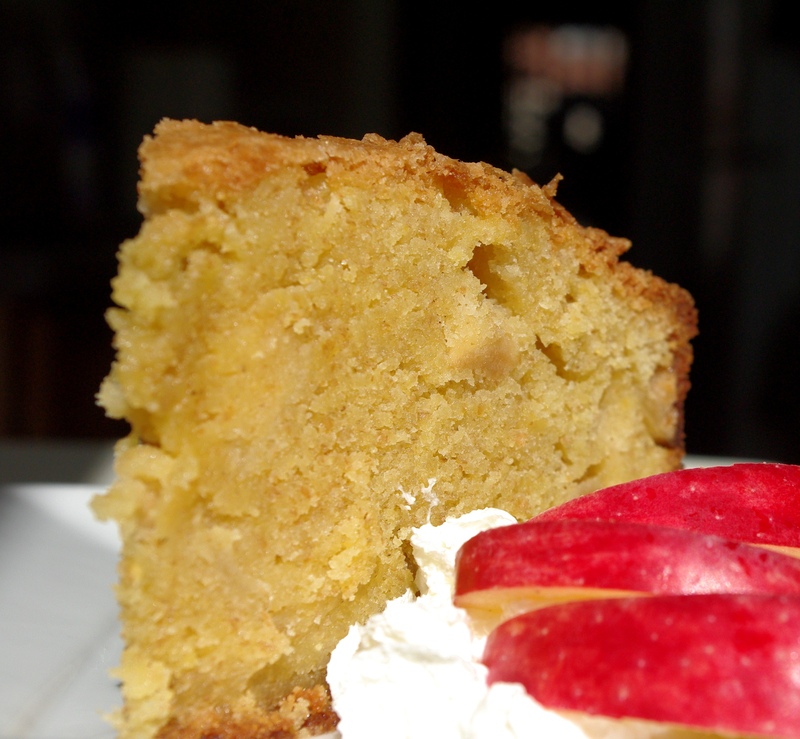 The recipe for this butter cake made the Los Angeles Times’ “10 best” list for 2011. I don’t know if it makes my top 10 for the year–probably because I think it needs a hit of ginger or almond flavoring or cardamom–but it was mighty good. And it will definitely find a place in the brunch rotation here.